This week we decided to do things a bit differently for the FAQ Friday episode. 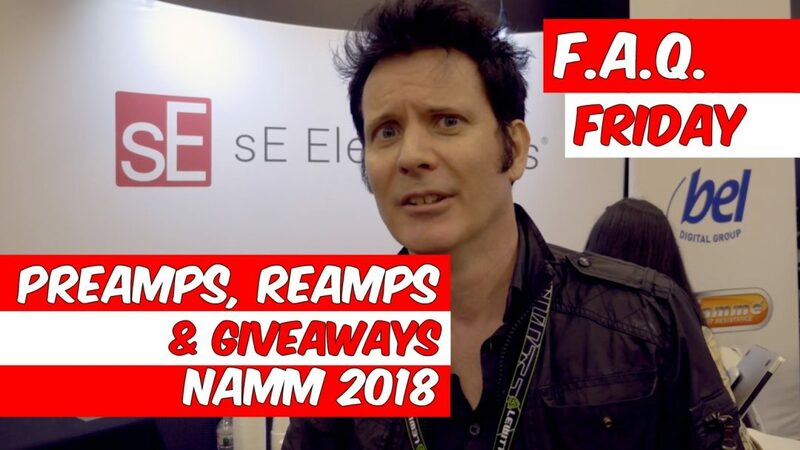 We filmed it LIVE at NAMM and we added 2 giveaways and several short interviews! The STX 100 is a 500 Series version of the classic Spectra Sonics 101 amplifier circuit. The STX 100 is a high-bandwidth microphone preamp with 64dB of gain and a 10Hz to 50KHz frequency response. A 10dB input pad and a dual potentiometer offers continuously variable input pad and output level controls allow the STX 100 to be used with both microphone and line level sources. The STX 100 represents an affordable alternative for employing the same Spectra Sonics technology from many famous recording desks made over 40 years ago. Remember, the more actions you take the more you increase you chances of winning!